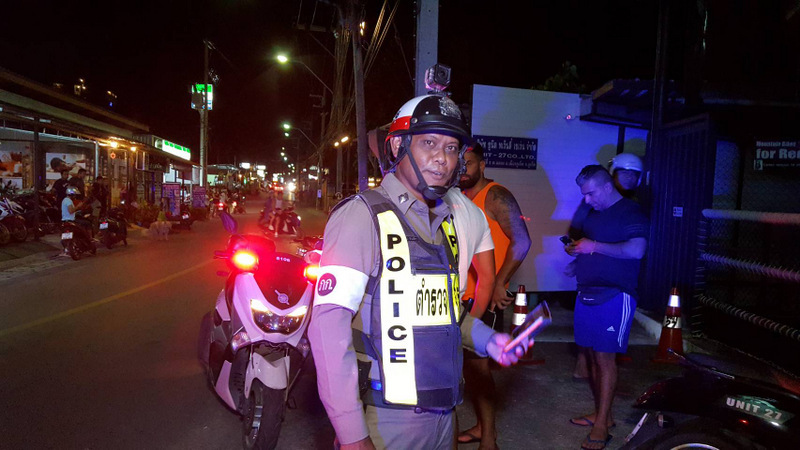 PHUKET: A British man died of head injuries last night (Jan 3) after the motorbike he was riding crashed into a power pole in Phuket’s renowned Muay Thai and MMA training street, Soi Ta-iad, in Chalong. Lt Col Kanan Somrak from the Chalong Police was notified of the accident at 8:30pm. 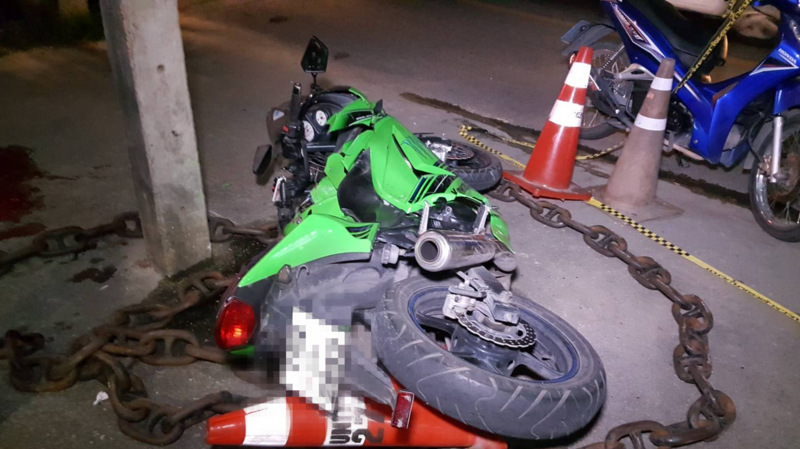 Officers arrived to find a wrecked green Kawasaki Ninja 250SL motorbike beside a power pole in front of the Unit 27 training centre and the body of the man* lying beside it. Already at the scene were Phuket Ruamjai rescue workers, whose headquarters are also based in Soi Ta-iad about 100 metres away. The British man died at the scene of fatal head injuries from the impact. He had also suffered a broken arm and a broken neck, police reported. Police made no mention of whether or not the man was wearing a helmet at the time. 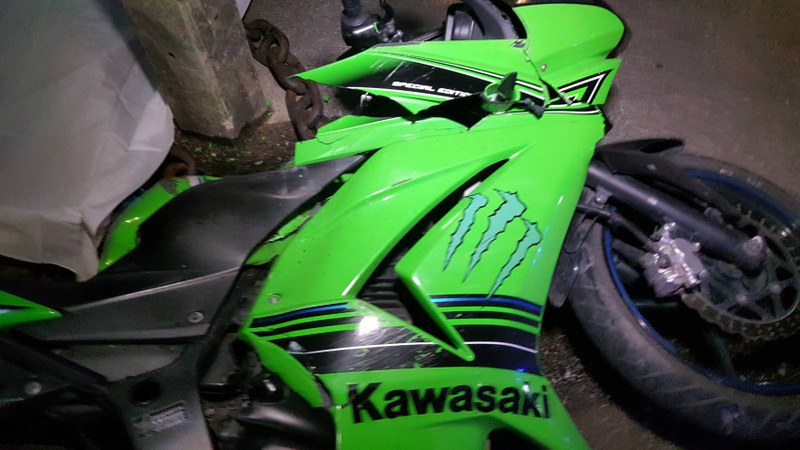 Witnesses told police that they saw the man riding the motorbike toward Chao Fa West Rd at speed. They heard the engine rev high before the man lost control of the motorbike and struck the power pole. Col Kanan noted that British consular officials had been notified of the man’s death. 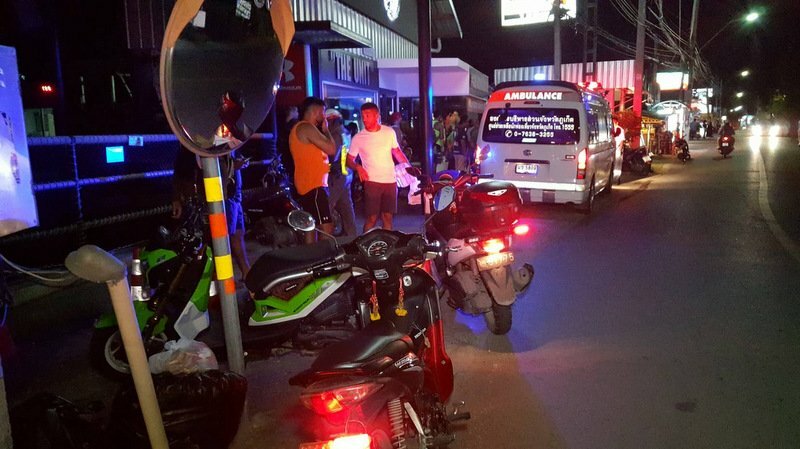 The man’s body was taken to the morgue at Vachira Phuket Hospital in Phuket Town. The Phuket News is withholding the man’s name until it has been confirmed that his next of kin have been notified.